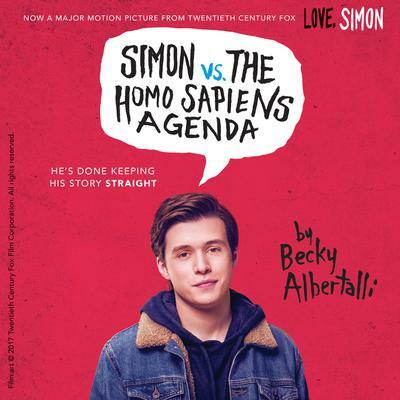 Now a major motion picture from Twentieth Century Fox: Love, Simon William C. Morris Award Winner: Best Young Adult Debut of the Year * National Book Award Longlist "A remarkable gift of a novel. "—Andrew Smith, author of Grasshopper Jungle "I am so in love with this book. "—Nina LaCour, author of Hold Still "Feels timelessly, effortlessly now. "—Tim Federle, author of Better Nate Than Ever "The best kind of love story. 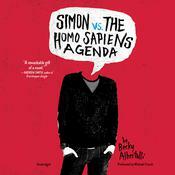 "—Alex Sanchez, Lambda Award-winning author of Rainbow Boys and Boyfriends with Girlfriends Sixteen-year-old and not-so-openly gay Simon Spier prefers to save his drama for the school musical. But when an email falls into the wrong hands, his secret is at risk of being thrust into the spotlight. Now change-averse Simon has to find a way to step out of his comfort zone before he's pushed out—without alienating his friends, compromising himself, or fumbling a shot at happiness with the most confusing, adorable guy he's never met. 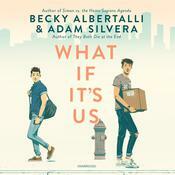 Incredibly funny and poignant, this twenty-first-century coming-of-age, coming out story—wrapped in a geek romance—is a knockout of a debut novel by Becky Albertalli. 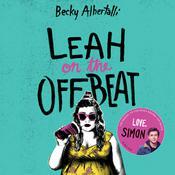 And don't miss Becky Albertalli's The Upside of Unrequited or Leah on the Offbeat! 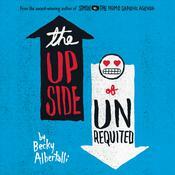 Becky Albertalli is the author of the acclaimed novel Simon vs. the Homo Sapiens Agenda and The Upside of Unrequired, among others. She is a clinical psychologist who specializes in working with children and teens. She also served for seven years as the coleader of a support group for gender-nonconforming children in Washington, DC.